What are Reading Buddies? Good question! Reading Buddies is a program where the older classes meet up with either a kindergarten, 1st, or 2nd grade class. The younger kids are paired up with an older kid (or maybe two!) and they read together and play educational games each time they meet throughout the year. We alternate meeting in either the older kids’ or the younger kids’ classroom. 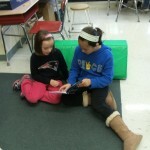 Reading Buddies are fun for the students because they get to develop relationships outside of their classroom. We will never forget the time, as kindergartners, we got our first reading buddies! We were doing our work when the teacher said “It looks like our buddies are here!”. We all turned our heads toward the door, and there they were, walking in the room with books in their hands. We were super excited to work with the older kids. We felt very special working with and learning from the 5th graders. It made us feel more mature to be working with the bigger kids; we felt bigger too. 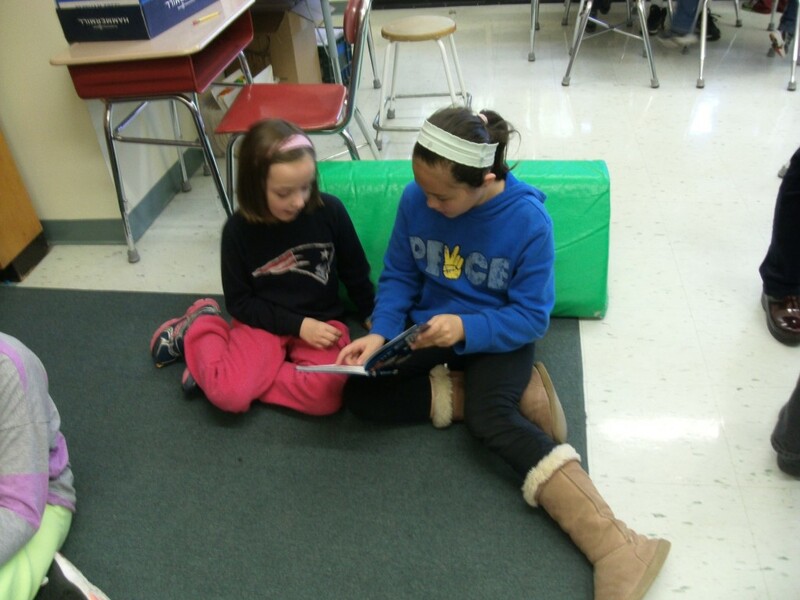 We chatted with some 5th graders to see what their perspective was about Reading Buddies. What do you like about Reading Buddies? Calvin said, he likes to hang out with kindergartners and read to them. Getting to know kindergartners and making a new friend is what William likes. Addie likes watching the younger students learn to read. What’s fun about the program, to Mackenzie, is learning about what genres of books interest little kids. 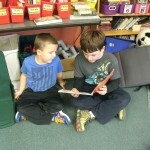 We also wondered what their favorite books to read with a buddy are. Calvin enjoys reading fairy tales with his buddy. William replied, Are You My Mummy? a Halloween version of Are You My Mother? Reading whatever the kindergartners choose is Addie’s favorite. What Mackenzie loves to read isPiggy and Gerald by Mo Willems. We thought it would be interesting to ask what they would like to change about this program. Calvin would like to increase the amount of time we get to read with our buddies per year. William thought everything about this program is perfect, and there is nothing to change. It’s fun for everyone, and you should not change anything, is what Addie answered. From Mackenzie’s perspective, it all works out and there is nothing to be changed. You could see from the very beginning 5th grade and the kindergartners both love this program. Then we wanted to see how different the 5th grade perspective was from the teachers’. We asked Mr. Wadness why he does reading buddies. He does it because he wants to give students the opportunity to be a teacher to the younger students. He likes to see the kindergartners look up to the 5th graders when they work together. He also loves watching relationships begin to develop between the 5th graders and kindergartners, and they almost become like brothers and sisters. We also wondered what he finds interesting about Reading Buddies. He likes to see the older and younger students bond. He likes to see them read together and build with K’nex. He likes when the students see their buddy in the hallway, they wave and say “Hi”, or give them high fives! After that we wanted to know what he thinks the students like when they get together to read. He thinks the students like to be a little bit like a brother or sister to each other. He believes it makes them feel good to read and teach each other. He notices that the students like to make stories together and color together. He likes to see the relationships between the older and younger kids continue to grow. He notices that Reading Buddies is a special time for the fifth graders because they feel very responsible. Then we decided to ask him if there was something he would like to change about Reading Buddies. He said “No”. Why? He and his students had such a great time last year with their Buddies. Although, he did a program in his last school called Special Friends, in which he and his students received a buddy and they went on field trips, read, colored, and played games. He does wish that he, his students, and their buddies could go on field trips together, but unfortunately, there is not enough time. We thought Mr. Wadness’ answers were very interesting, especially compared to the students’. 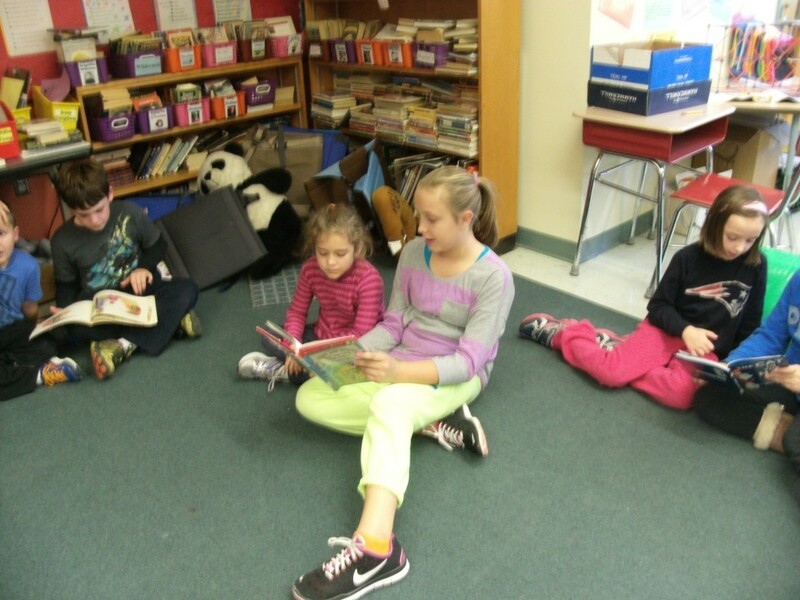 Reading Buddies helps older and younger students get to know each other and bond. It helps the kindergartners understand what it’s like to be a 5th grader. It also helps them to get used to 5th graders and not be nervous around them. Out of all the activities that are happening throughout the school, Reading Buddies is by far our favorite. The kindergartners in Mrs. Saunders class have been working on their author study. They have been studying the author Mo Willems. The fifth graders in Ms. Dionisio’s class have also been doing an author study. They individually studied an author. Some studied Graeme Base, Virginia Hamilton, Jane Yolen, Allen Say, Cynthia Rylant, and, many others. On the day we were with our kindergarten buddies, we presented our PowerPoints to our individual buddy. The PowerPoint consisted of a title page, a page for each book, and an about the author page. The page for each book contained an image of the book cover and a selling point for each book. 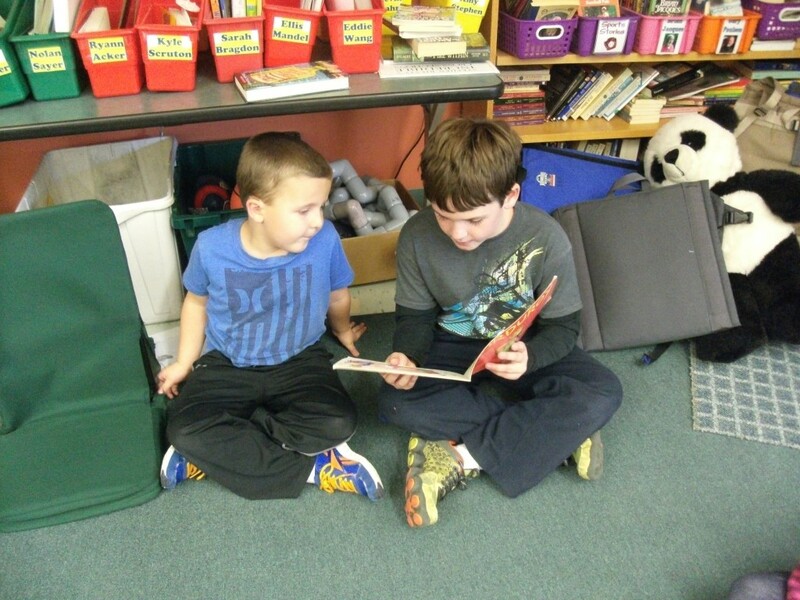 Fifth graders and kindergartners shared two books each, then they read other Mo Willems books from a collection. As a special treat Mrs. Saunders made chocolate chip and sugar cookies to snack on while we read together.